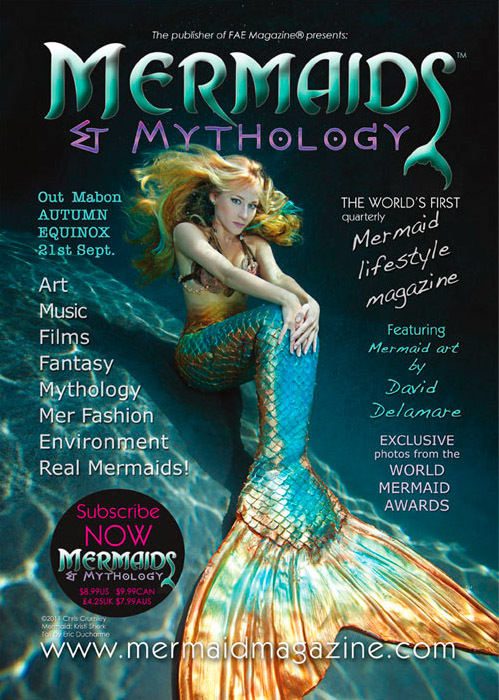 The premier issue of Mermaid Magazine is on-line (http://themermaidmagazine.com) and the cover was done here in the "tank." Kristi Sherk, Washington, DC mermaid model sports a custom silicone tail made for us by Eric Ducharme (http://mertailor.com) in Crystal River, Florida. Watch here for Kristi in a new goldfish colored tail by Eric shot last week in Cancun, Mexico.